Mobile devices are becoming a standard means of browsing the internet, researching products and services, and making purchases online. According to Global Web Index, 80 percent of internet users own a smartphone and 47 percent own a tablet. With these kinds of statistics, you better believe that your website is receiving a significant amount of its traffic from mobile users - unless you fell subject to the latest Google algorithm update last week. Apple brings iOS to vehicle telematics with "iOS in the Car"
Yesterday at the Apple 2013 Worldwide Developers Conference (WDC), Apple announced the forthcoming iOS 7 along with a slew of new features (including a UI overhall). If you read our recent article on Fiat’s move to install an on-board espresso maker into the 500L, you might be thinking that automakers have run out of A-List ideas of vehicle options to improve sales. Well, we’re happy to announce that GM has not moved to the B-List yet. Since 2006, California has maintained legislature to ban driving and texting. The penalties for being caught texting or otherwise touching or using your phone while driving are steep. Developers will receive access to Manufacturer General Motor's OnStar API which is called ATOMS (advanced telematics operating system) sometime in the first half of 2012. OnStar president Linda Marshall described the consumer benefits in terms of functionality comparable to computers, smartphones and tablets as a response to the growth in the mobile applications market for Android and iOS platforms. 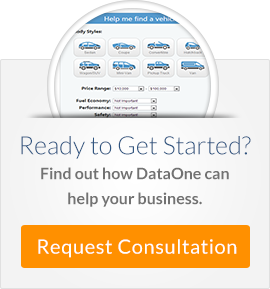 Obtaining vehicle inventory for classified listing sites or lead generating sites can be a daunting task for a new solution provider or a provider who wishes to augment current vehicle marketing programs for auto dealers.